Why there are more and more industrial bakers who don’t care what they sell. Sometimes people tell me I’m obsessed with bread. That’s not entirely my fault. (I like to blame others, who doesn’t?) When I was little, my father always baked our own bread on sunday, every single sunday. I can’t remember anytime we actually bought bread, except on vacation. 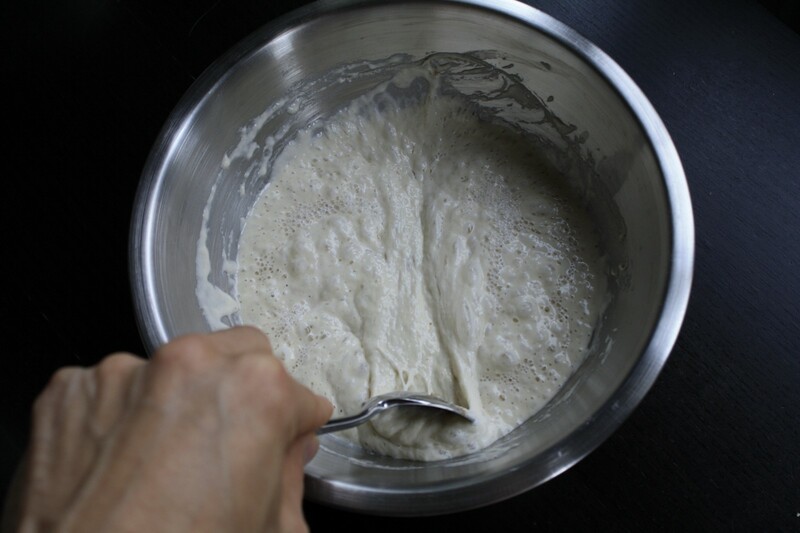 At a young age I had no idea how creating something out of nothing actually worked, but I knew it was intriguing — the addition of yeast which caused the dough to bubble up within a short period of time, wow! When I grew older, I lost my interest in food in general — I had other worries such as studying. (well, and girlfriends, but that’s a part of studying!) I have two sisters and we never cooked, our parents always did that. The only thing that remained whas the joy of eating a freshly baked slice of bread at sunday after all the breads have been cut and packaged — my father baked enough for the freezer to use throughout the week. When we ate pizza — with homemade dough of course — there was always some dough left over to create a “pizza bread” with. The dough was “special” because of the ingredients: a 100% white wheat bread with olive oil, extra sweet. We always fought to get the most slices, usually spread with an even sweeter Nutella. I think the tradition of eating chocolate spread on white bread started there. Eating without cooking it yourself abruptly stopped when I rented an appartment. The interest in cooking and baking remained so I started experimenting myself. After a year, I received a bread baking machine for my birthday — you know, one of those little things where you need to simply weigh all the required ingredients, throw them in there and push “start”. 4 hours later, the irresistible smell of freshly baked bread would fill the kitchen. Great, I baked something! What should I do with it? Where’s my Nutella? After another year, I stumbled upon one of the many food blogs, “Food wishes” with chef John, where he explained the process of creating a “sourdough”. In Belgium, bakers don’t use sourdough, so I didn’t even know what that meant. It was so fascinating that I decided to try that myself. Most people I bake for even complain about the “holes” — their chocolate spread drops thorugh them! Which of course worked with enough patience. As soon as my sourdough starter was active, I got really obsessed with baking bread.Not just bread, but bread — the real stuff, hand crafted, with (sometimes extremely) long fermentation times. I gave away my bread baking machine (and made someone else happy with their first baking experience) and started investing my time and money in artisan bread baking books like “Bread”. I had to order everything on the internet as I couldn’t find a single book on the topic locally which is very, very sad. This week is week four in the three year long official baker course. 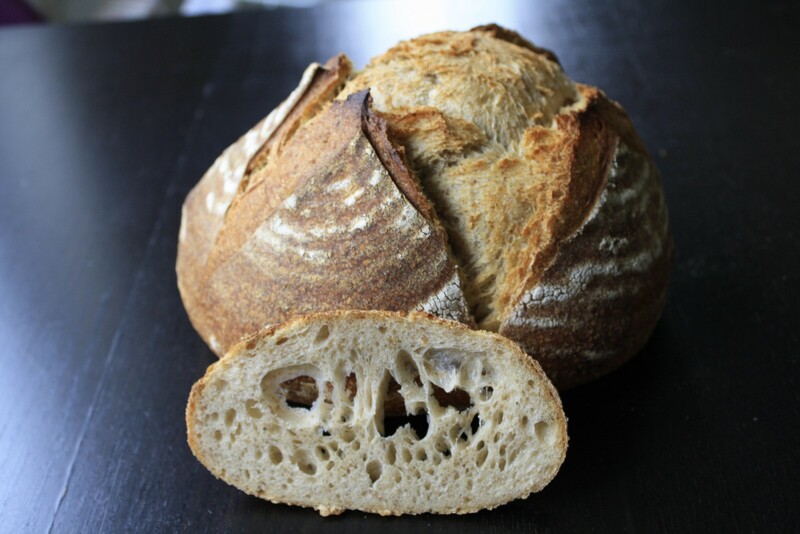 I enrolled into the program with a clear vision on how I would open up a speciality bakery, only baking sourdough bread with long fermentation times and extreme taste and smell. My father doesn’t like sourdough. Actually, almost nobody I know does. Why is that? We grew up eating fastly fermented bread with high amounts of commercial yeast. The more yeast added (with chemical flour stabilizers of course) the quicker the baker can bake them, the more he can create and sell. $$$ (in our case €€€), dingding. So the more I learned about the sad state of bakeries, the more I was determined to do something about it. I created Save Sourdough, a website to promote baking with sourdough yourself. I baked for colleagues and friends, but I still felt that was not enough. So I finally enrolled in a bakery course (you’re obligated to have that diploma if you want to start a bakery). Sourdough, all bubbly and ready to roll. I knew I should not expect too much, but if you know that after following the course for three years (without any prerequired knowledge), you can open up your own bakery, I’d expect it to be thorough. What a disappointment. We do learn to bake bread: white bread to start with, small round boules we call “pistolets”, fluffy sandwich bread, … But it’s all the industrial way. All the recipes contain stabilizers. You want pistolets? Okay, just add 4% “pistolet” stabilizer. Baking regular bread or sandwich bread? Use bread or sandwich stabilizer. Those things come in huge bags of 25kg in the class, just as the regular flour (industrial milled with added stabilizer out of the box… great) does. What do they actually contain? Sourdough bread keeps for a week. Without any additives, because of the thousands of natural little micro-organisms present in the sour. Using lactose helps prolong the shelf time the same way, but it actually requires adding something I don’t even want to be present in my bread! You also need a chemical ingredient to make sure the gluten in the (usually wheat) dough don’t break when mixed on a high speed. Sourdough bread is not mixed, it is folded. Problem solved. Why don’t we do it like this? Requires time. Effort. Not needed, mix up that baby. $$$/€€€. What a disappointment. I see people jotting down everything the teacher says when answering that question, nodding quickly. I guess they just think “when I want to bake bread, I need stabilizers!”. You don’t. When you bake bread, you take your time. Or you do not bake bread at all. A bulk fermentation of 15 minutes? Come on, are you serious? When I bake sourdough at home, it’s at least 3 hours! Sometimes even up to 2 days in the fridge. I know I’ll still be learning a lot in this course, so I won’t quit (and I need the diploma). I already learned why there aren’t any real artisan bread bakers anymore. The teaching part is all messed up, so how can we expect or bakeries to actually deliver quality goods? The real learning still has to be done at home (or in another country) — provided that someone is willing to learn to do it another way. That last part plays a big role, as most people here don’t even like the sourdough taste, even mild bread. They are just used to junk, don’t blame them. After all, we are creatures of habit, right? If that is what we want to be, than it shall be so. Good at sharing and creating stuff. Bad at maintaining them.